Wait! Don’t Leave… You Haven’t Read our Testimonials Yet! Craig Van Batenburg, the CEO and founder, is good at taking the complex and making it easy to understand. ACDC creates unique classes that are delivered in person world wide. ACDC also uses the latest technologies to deliver training and education over the world wide web. We believe people learn in many ways so we are flexible and creative. Click About us to know more. As a Shop Owner or Manager, a “come back” can be the worst part of your day. I remember a time when my new tech left the dipstick on the bench. Delivered the car and the customer was really upset. I was as well, but I needed to make it right for the customer and also make plan to keep those types of mistakes from hurting our reputation. We told everyone we “Fix it the First Time”, but we didn’t. How do you handle this with your employees, all of them, not just the tech? After some thought back in 1984 (the shop was opened in 1977), I came up with this idea. Before the tech closes the hood for the last time, they must ask for a “Hood Check”. In my shop it was simple. A tech just yelled out “Hood Check,” and someone – could be most any employee – came over. What were they looking at the hood? Anything that looked off. This process, that took all of two minutes, was to ensure that everything was OK under the hood. The tech handed the “hood checker” the vehicle’s work order. Was the dipstick all the way in … oil cap tight … any rags, pens or loose nuts under there? After you open the hood, you own everything under it for many years to come, right? Even if the tech never touched the battery cables, twist the cables with both hands, one on each post. Are they tight? Many will not be. Why did the techs at Van Batenburg’s Garage have to submit themselves to this? Simple: If it was right on, they got a pat on the back. If not, they learned a lesson. The end result was no more foolish comebacks that could have been avoided. Even the boss had to yell out “Hood Check.” Did I ever get caught? Yes, but that was a lesson I didn’t quickly forget. Would you believe our comeback rate was less than two a year? It’s a great way to break in a new recruit, even if he or she has been a tech for decades. It is the culture in your shop that reduces comebacks more than anything else. Think about this the next time you slam down the hood at the end of the job. What about a clutch or CV joint job? Is it worth putting it back on the lift when the road testing is done? Sure, if you removed or replaced an engine, transmission or axle. Less stress equals less comebacks. What does it take to write a college text book and why did Craig (and many others helping) do it? It is the single largest project I can remember in recent history and is still on going as it is not finished. The book will be published and sent to schools the August. Let’s start with why? There are two well-known college text books on the market that were written by two well respected automotive authors, both of them are full time writers, Jim Haldeman and Jack Erjavic. I know the well and have helped both in their hybrid writings. I was paid to work with Jim years ago and Jack and I had a deal that well through. Their books are as good. So why reinvent the wheel? I was asked by many college and high school instructors to do this project. They wanted a textbook with the continuity of my on-line webinars and live classes. They wanted cut-away parts that matched the lessons. They wanted work / task sheets written for real work problem. They wanted a complete package. So the reason why is the same as to my existence in the automotive repair field. That is why I opened a Honda only repair shop in 1977. Why I opened ACDC in 1999. The industry needs help. So what has it taken so far? I have hired other industry professionals to help. Al Playter, an Auto Teacher in Canada, Cyriel Kootstra from Holland to write the light duty diesel/hybrid chapter, Jeff Gouviea from Up Your Voltage fame to write they Heavy Duty (Class 4 to 8) HEV /EV chapter. All experienced in that field. Hany Shaker from Cairo, Egypt is doing the task sheets and I still need more help. I have hired shop owners to proof read and make suggestions, like Eugene Victorivitch Tomachinkski (my favorite Russian) and many others. Carlos Vargas, one of the smartest seniors at the local technical High School, is working at the ACDC training center after school and this summer. I have hired Dustin Hopkins to take over some work from DJ Goins who has been with ACDC since he graduated from High School few years back so DJ can scan more EMVs and help get scope data. The editor Darcy Adshead (she has done the last two ACDC books) and Damian Adshead is here to make my photos more presentable and do the graphics. It is a large team effort that started last October when Darcy and I met for a morning to map out the plan. I like the work but not the hours. We are self-publishing. That means we are not printing 5,000 copies overseas to save money and make more profit. All of our books are printed in Tennessee. They are all full color and spiral bound so they lay flat on your workbench. The support materials most likely will still be developed and posted on line after the books is done. A few last thoughts. I am in a hurry to get this done because if you are waiting to learn this new and exciting technology, every year you wait, it gets to be a steeper climb. This book will help. You can pre order. If you first learned about cars with a 12 volt system that ran on gasoline or diesel you were, without knowing it, developing what I call a “12 volt brain”. When you were a small child and stood by the family car (or a friend’s car) you did not have to be told what a car sounded like when it was cranking, especially if it would not start. After repeatedly hearing that familiar “rur…rur… rur and maybe then click … click … click and nothing. It became a part of what a car does. The 12 volt brain was learning even before you knew you wanted to fix these things. Your automotive classes in college are now in conflict with some of that intrinsic knowledge and you must relearn what a high voltage system can do, that was not possible with a mere twelve volts. Time to develop a high voltage brain. This will be exciting and challenging as well. It will lead to a revolution in transportation that was last seen between 1890 and 1910. Those two decades set the stage for an affordable gasoline powered world. The future is electric and it is time to learn the how and why. We are here to help. 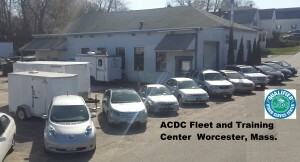 This class is our annual A/C and heating update on the latest A/C issues concerning HEV and EVs. Heat Pump and Inverters explained. What is new with R1234yf and HV compressor oil. You will know a lot more when you log off. Live on the Internet. Interactive with PDF workbook. Price $5,000 7 days of advanced EV / hybrid hands-on training. Fly into Worcester, Mass. the day before and meet and greet. Class is 7 days long with hands-on every day. Theory is done online before class starts. We have 13 different hybrids/ EVs. You will scope, scan, drive and learn real world fixes, diagnostics and a lot more. Our training facility is set up just for this. 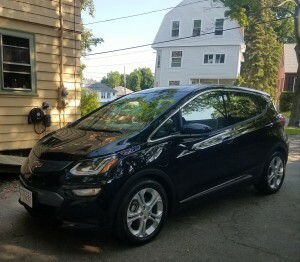 VOLT, LEAF, BOLT plus Toyotas, Fords and Honda hybrids. Reviewers can attend for 1/2 $. As you may know ACDC is located in the only “Right to Repair” State is America and that means we have access to Tesla Service Information. ACDC has been studying and working on Teslas for years and now we believe that everyone will not only have service information but parts and a factory scan tool in the future. Our reasoning is the Model 3 sales have stretched Tesla service and their service and repair business model is not working. In Massachusetts, it is ACDC’s opinion, that Tesla will be forced to comply with our laws. There are many Model S EVs out of warranty. This “intro class” will get you in the know and help get started attracting Tesla owners to your shop. Space is limited.